This is the safest way to shop in Penneys/Primark enter with a twenty Euro note leave bank card behind and that way you can’t spend over your limit. The first thing I spotted was this red bag with STOP written on it, I don’t need it but I love a statement clutch and its €6. 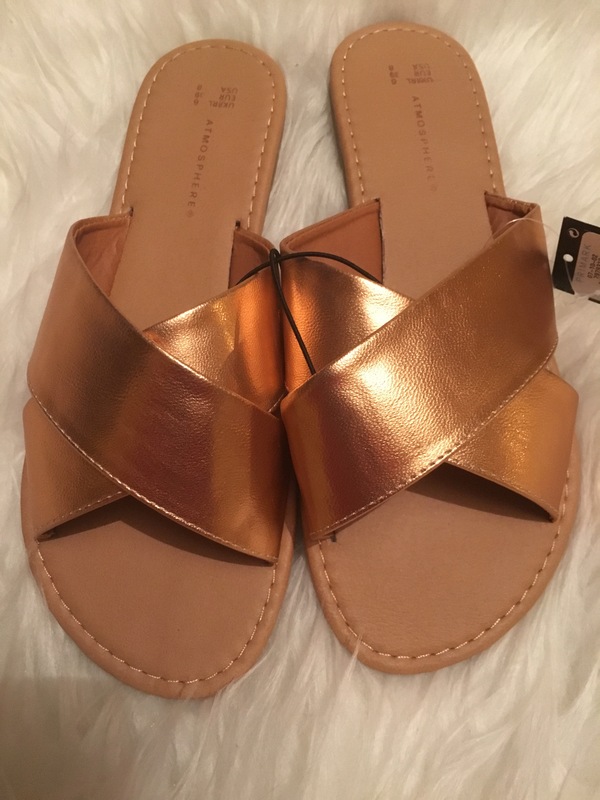 Rosegold sandals I couldn’t say no to these and they wore also €6. Pom Pom keyring or pop it on to your handbag €3. All this for €17, I even came out with change. What a cute clutch and I LOVE the sandals, they are gorgeous!